Canadians love getting their Tim Hortons coffee in the drive thru, but are hesitant to buy it in the grocery store, because they just don’t think it will taste the same. The Cart Thru. 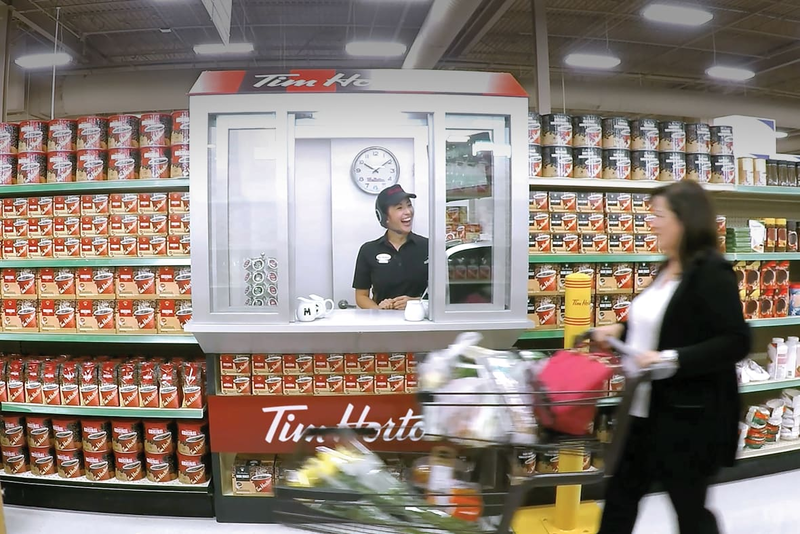 We partnered with Canada’s second largest grocery chain and built an exact, working replica of a Tim Hortons drive thru in the middle of their coffee aisle. 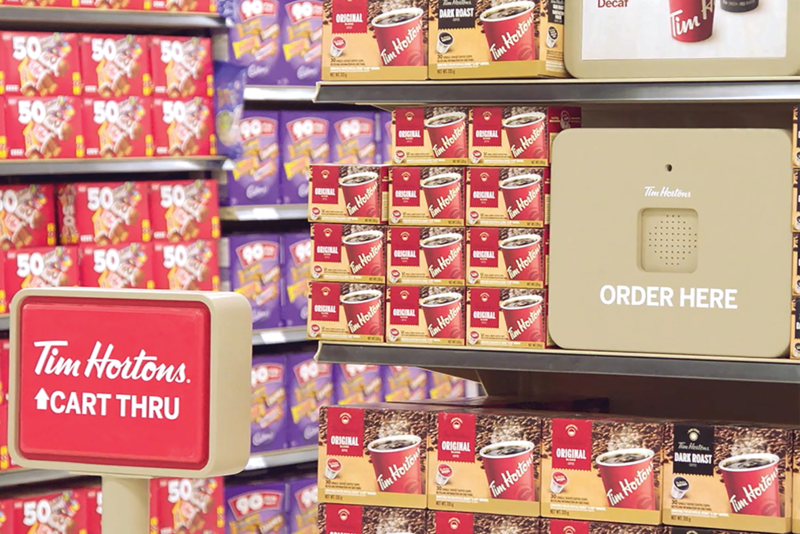 Customers could order their Tims coffee at a two-way speaker box at the bottom of the aisle, and pick it up at the Cart Thru window in the aisle. The only difference was that the coffee was made with a single-serve pod, which people all agreed tasted exactly like their regular Tims. In the two months following the campaign, retail single-serve sales showed a year over year increase of 44% and 29%, respectively.